Scratches, nicks and cracks in your windshield are often annoying and inconvenient. These damages can range from small chips to major damage to your line of sight. In most, but not all cases, your auto insurance policy will cover glass repairs. Still, it is up to you to be a responsible motorist. Your windshield is a vital element of your car. Make sure you repair your windshield. Also watch out for anyone who tries to commit windshield fraud. Even the smallest cracks can develop into major breaks in the right conditions. These breaks can even cause you to have to replace your windshield. This can lead to major costs for both your car insurance company and you. Making timely repairs to your broken windshield is a great way to avoid high costs down the road. Additionally, you should be on the lookout when choosing who will make windshield repairs. Windshield fraud is a scam that happens more often than you'd like to think. Scammers often use shoddy work to replace windshields. They might also use substandard glass. 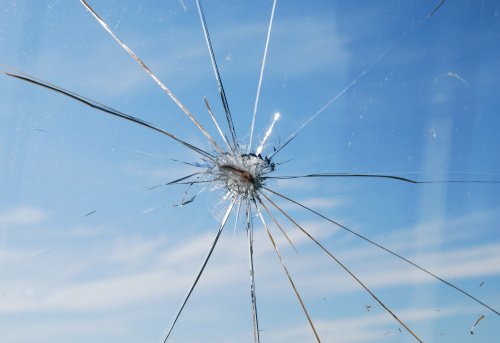 Substandard glass can distort your view, shatter easily and even cause damage to the body of the car. Windshield scammers not only do bad work, but they can also can cheat you by inflating the cost of windshield repairs. For instance, they might tell you that they will have to replace a windshield when it only needs minor repairs. Not only can windshield scammers lie to you, but they can also lie to your insurance agency. Scammers might charge the insurance for several windshield replacements or extra repairs. Con artists will sometimes put needless claims on your policy, which could lead to rate increases. This is insurance fraud, and it is illegal. Not only could you be stuck with inappropriate claims on your insurance policy in this scenario, but you could also be driving with a windshield that is dangerous. You should know that windshield cracks are no joking matter. You should repair them in a trustworthy fashion. Make sure your auto insurance coverage is in top shape to handle any windshield-related issues. Call HIG – Henrich Insurance Group at (713) 349-0400 for a free Houston auto insurance quote.